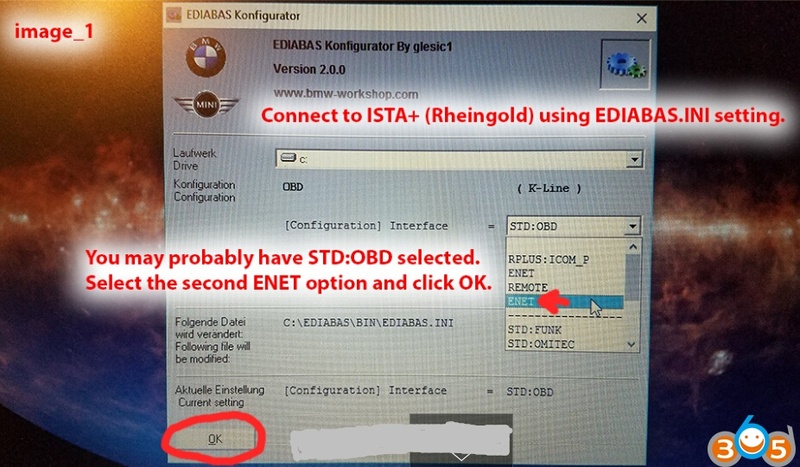 Here’s the instructions for operating BMW EDIABAS software applications under use the ENET cable Ethernet connection. 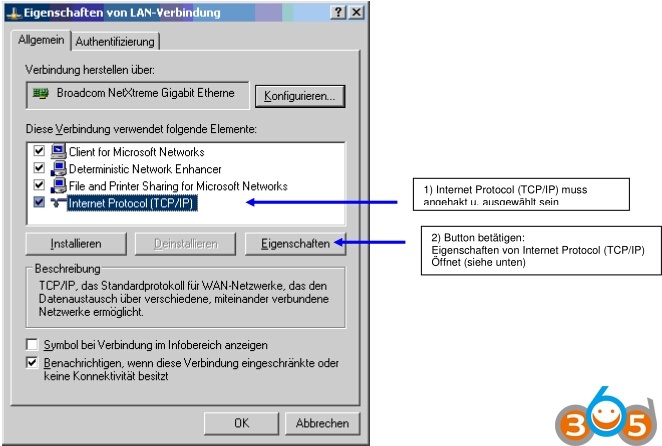 The ZGW is connected directly to the computer (no DHCP server). 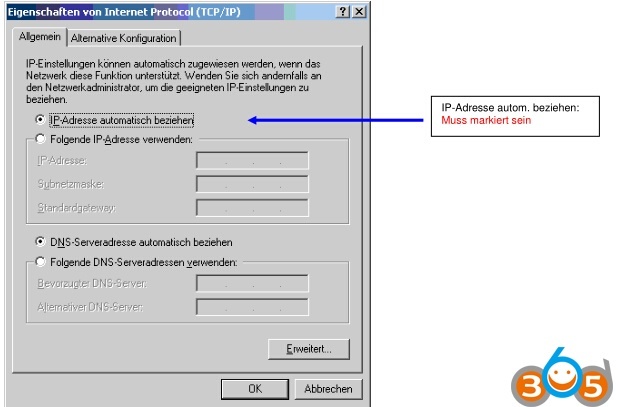 No IP address may be assigned to the computer (obtain IP address automatically). After a short time, XP reports limited connectivity on the network port. 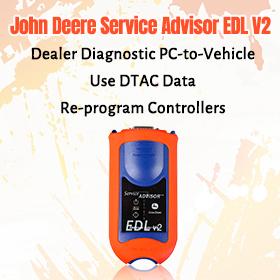 Communication with the ZGW is now possible via EDIABAS. 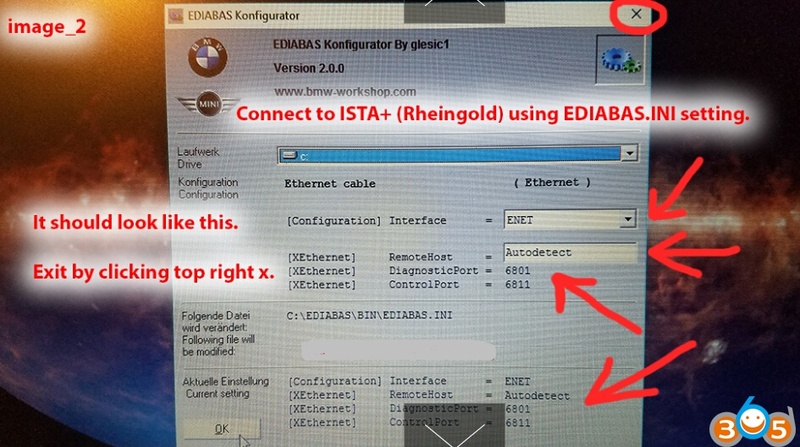 With the tool “ZGW_SEARCH.exe” (can be found under “EDIABAS \ Hardware \ ENET“) it is possible the current network parameters of the CGU (see also (*) under option 2). The ZGW and the PC must be in the same number range. 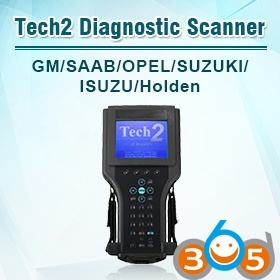 With the tool ZGW_SEARCH.exe the current IP address of the ZGW can be determined. 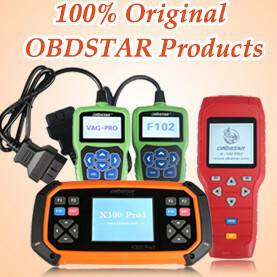 Option 1 described) and let the detection run. press the button <refresh> again. 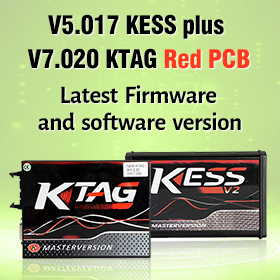 The current IP address will now be displayed. 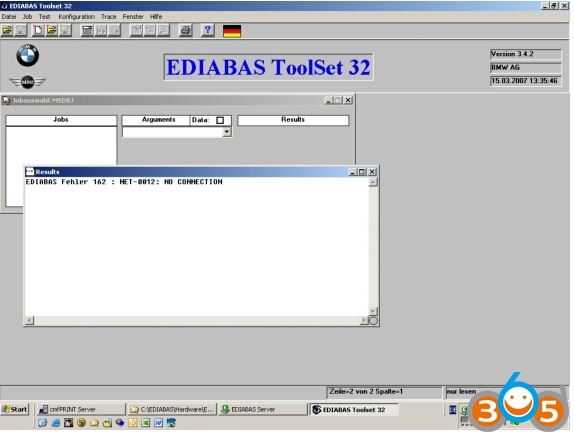 (*) “Tool ZGW_SEARCH.exe” can be found under “EDIABAS \ Hardware \ ENET“. 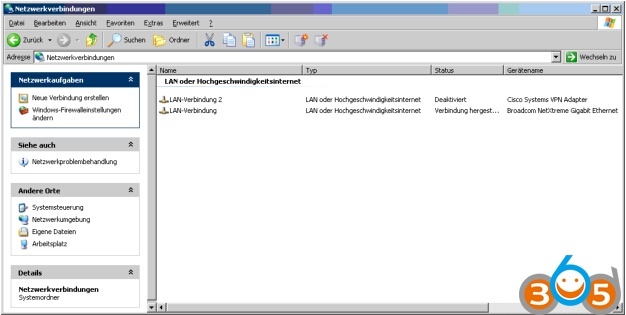 then click Properties – the following window “Properties of LAN connection” opens. 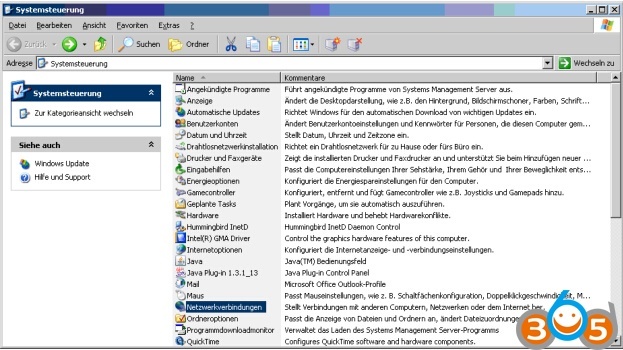 1) Open DOS window: go to “START” >> “click on execute” >> enter “cmd” >> OK.
enter – confirm with “Return”. The positive connection test looks like shown above. This is just proof that there is a physical / electrical connection. illustrated setting / connection parameters. 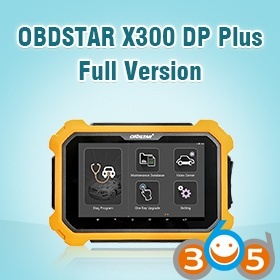 Error 1: Required dll file “MSWINSCK.OCX” is missing. The “MSWINSCK.OCX” must be in the same folder as “ZGW_SEARCH”. is turned on or it is the required entries i. d. EDIABAS.ini (see above) again to check / correct.